Which one was your favourite? Heroic Hulk or dastardly Hollywood. The man born as Terry Bollea had no idea that one day he would become one of the greatest icons of professional wrestling. Bollea was a shy, overweight child with more interest in music than sports. He grew up in Florida watching Lou Thesz, Johnny Valentine and Dusty Rhodes. Over time he did develop an interest in wrestling himself. 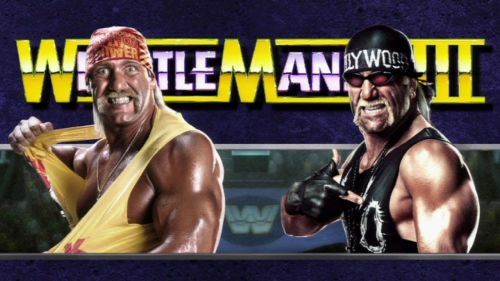 Over time, Hogan gravitated toward facedom, first as Terry Boulder, then Terry "the Hulk" Bollea, then finally as Hulk Hogan. He went on a five year run as Champion in the WWE that will likely never be matched. But then, inexplicably, Hogan returned to his bad guy roots, forming the NWO and re-christening himself as Hollywood Hogan. It was possibly the best career move he ever made, and here are ten reasons why Hollywood was superior to Hulk. By the time 1996 rolled around, Hulk Hogan was a victim of his own success. He had beaten all the bad guys, been champion multiple times for years at a time, and even made several movies which, while critically panned, were financially successful enough to keep getting him more acting roles. Simply put, there seemed to be no way forward for Hulkamania. Fans were bored of the 'superhero who beats everyone' schtick. The 1990s paved the way for more 'antihero' types like Punisher, Wolverine, and their ilk. A good guy who told children to say their prayers and take their vitamins was just old hat, and it was time for a change. 5 Reasons Hulk Hogan was good for wrestling, and 5 he may not have been so good. 5 wrestlers who can't stand Hulk Hogan, and 5 who are his friend.